A rivet nut, also known as a blind rivet nut, threaded insert or rivnut, is a one-piece internally threaded and counter bored tubular rivet that can be anchored entirely from one side. There are two types: one is designed to form a bulge on the back side of the panel as a screw is tightened in its threads. The other is similarly drawn in using a screw, but is drawn into the sleeve instead of creating a bulge. 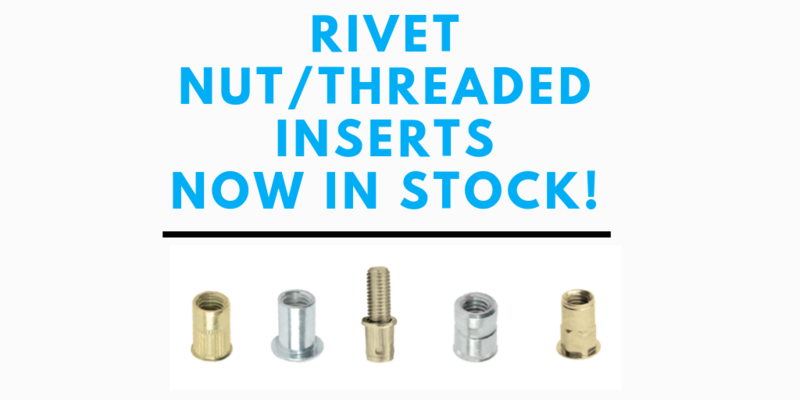 Rivet nuts are an ideal replacement for weld nuts because they will not distort base materials, eliminate weld splatter, toxic fumes, and other by-products of the welding process, and can be installed in many different kinds of material including steel, plastic, composites, and fiberglass. They provide a strong, threaded insert on materials too thin or brittle to support a tapped hole. Threaded Inserts are used for a wide range of applications such as Automotive, Trucks & Trailers, Furniture, Appliances, Green Energy, Buildings, Construction, Marine, Etc. Fun Fact: The first rivet nut was created by BF Goodrich in the 1930s, and sold under the trademark RIVNUT®. It was first used to mount rubber de-icing boots to aircraft wings. 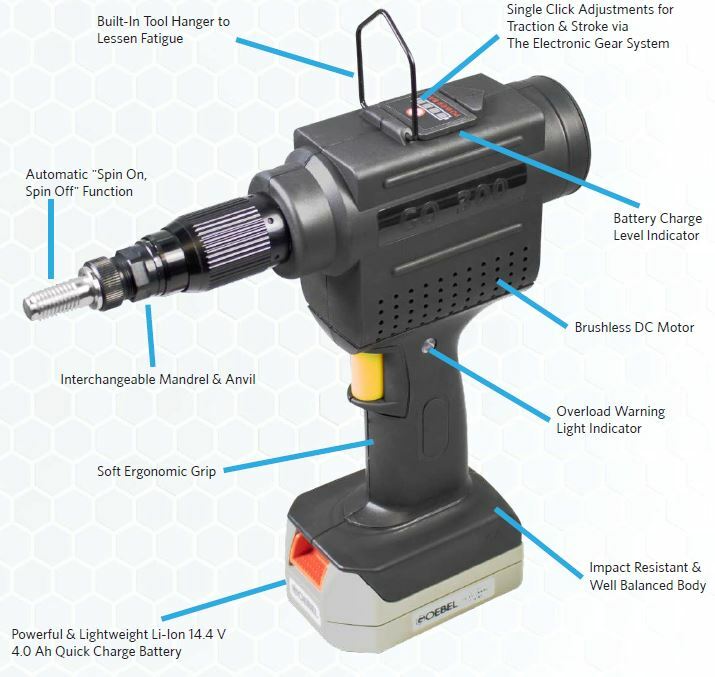 Goebel Fasteners, Inc. favors the spindle stroke procedure when setting blind rivet nuts, as they have to be screwed onto the mandrel of the tool, inserted into the drilled hole of the component and then fixed by activating the tool. In doing so the closing head of the blind rivet nut will be formed. After unscrewing the tool from the blind rivet nut, the components will be joined together.